SportsArt Fitness, an industry leader in the design, development and manufacture of premium-quality fitness equipment, offers its new selectorized commercial Strength series. Offering a full line of upper- and lower-body machines, the SportsArt Fitness Strength collection is a breakthrough blend of form and function. The collection reveals sleek lines and ergonomic design, with each piece in the series offering superior biomechanics to aid in proper weightlifting form and technique. Each unit also provides integrated incremental weights, magnetic selector pins and fully shrouded weight stacks. Comprising 23 pieces, the Strength line includes standard equipment found at finer fitness facilities. Tube Tone Concepts designs and installs disc golf courses using its "original" audible disc golf targets. Tube Tone's products are simple, sturdy and affordable, providing decades of recreation for your clients. Tube Tone's courses are easily installed with either a temporary or permanent layout, and the flexibility means you can use property that is not suitable for other sports. Disc golf has a wide demographic appeal, allowing young children to play with parents and attracting seniors to the walking pace and conversation that can occur during play. Tube Tone disc golf also provides a stress-reducing recreation. Following the amazing success at the 2004 IAAPA of Mini Melts Rocks, the new exploding ice cream that was featured on CNBC and USA Today, Mini Melts continues to be a hit. DollyWood, in Pigeon Forge, Tenn., has 12 Mini Melts locations for 2005, and sales have been strong since opening. Stone Mountain, outside Atlanta, also has started selling Mini Melts from seven locations and will soon operate three state-of-the-art robotic vending machines. These machines are in malls around the Northeast, where sales are high. Some customers actually report greater sales from the vending machines than from their kiosk locations. Redexim Charterhouse, Inc. offers two new models of its popular OverSeeder, the 1575 and the 2075. The redesign makes these the fastest, most versatile and efficient versions to date. With its innovative unequal disc slitting system, the OverSeeder actually plants the seed firmly in the ground, providing outstanding seed to soil contact and unmatched germination. Boasting tight spacing, each seed coulter is individually suspended and accurately follows terrain. The new seed box allows for an infinite range of feed rates with all seed types, and the new OverSeeder can re-seed a football field or golf course fairway in minutes. Acu-Trol Programmable Controllers offers its new PoolPCTM Pro, a water-quality management system designed specifically for pools and spas. 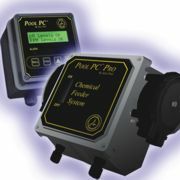 The new system is an upgrade from the popular Pool PC controllers that monitors water quality and recommends exact dosing amounts, but the Pro version also adds the chemicals automatically as needed. It also offers additional features such as two pump control for use with two liquid chemicals, one pump and one dry contact for use with liquid pH and a slat chlorine generator, and best of all, it weighs only two pounds and is powered by just two AA batteries. The summer 2005 Sportsmith Parts and Service Superstore catalog features Group X Indoor Cycling including Schwinn, Star Trac, Johnny G, Reebok and RevMaster, as well as parts for all major equipment manufacturers. The new catalog provides one of the fitness industry's largest selections of value-priced OEM and OEM-quality replacement parts. Group X Cycling classes continue to be workhorses, and Sportsmith has the parts to keep your bikes running strong. Whether it's indoor cycles, treadmills or elliptical trainers, Sportsmith representatives always are eager to help you get the parts and products you need at the best possible price. Fitness First, a family-owned company, has served the fitness industry since 1987. 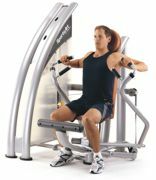 Its commercial and home exercise equipment 2005 catalogs feature more than 200 new cutting-edge products. All exercise equipment offered, including resistance products, mats for all programs, weights, balls, steps, water equipment and much more are manufactured to withstand the heavy use seen in health and fitness centers, Ys, schools, and medical facilities. The Pool Invention People at Water Tech offer an innovative pool vacuum cleaner, the Pool BusterTM Max. This unit is one of the first-ever, rechargeable, battery-powered, self-contained underwater vacuum cleaners that are strong enough to clean the entire pool. It connects to any vacuum pole, cleans without hoses and will work for up to one hour before needing to be re-charged. Plus, the Pool BusterTM Max has a patented new vacuum head that can be used on both vinyl liner and concrete pools, so one unit takes care of all pool customers. Pool builders like it for fast final cleanup.